Ryan Balfour Racings 4yo mare Mystified has been confirmed as a started in Saturday's Group 1 Sangster over 1200m at Morphettville. Ryan purchased the mare for just $20,000 at the Magic Millions Gold Coast Sale and she has won over $221,000 in just 21 starts to date. Ryan Balfour said " It's a rare opportunity for a South Australian mare to race against Australia's best in her own back yard let alone this is a Group 1 and for a million dollars"
"She is in very good order and there is a little bit of rain about which may just help us out. She's travelled to Melbourne a number of times and won over there twice so its nice to allow her to enjoy her surrounds util race time and make many of the others travel to us. It look a great Sangster field ! " 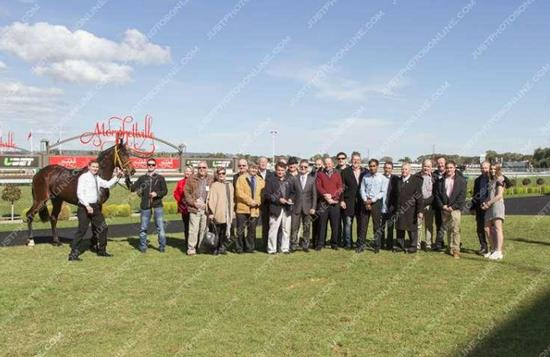 "She's drawn a good gate and its a pleasure to see the excitement amongst the owners. She'll do us all proud"
Melbourne jockey Damian Thornton has been booked for the ride.